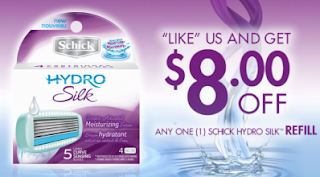 $8 off Schick Hydro Silk Refill Coupon!! WOW! Hurry over to Schick Hydro's Facebook page to print out a super high-value $8 off Hydro Silk Refill coupon!